*Must have a minimum of 100,000 Lifetime Points to be eligible for this upgrade. We’re excited to say, you’ve reached the highest tier of the Mikuni Koki Club Hoshi Rewards Program. Thank you very much for being such a loyal customer and achieving this amazing milestone! We are extremely grateful for your business! 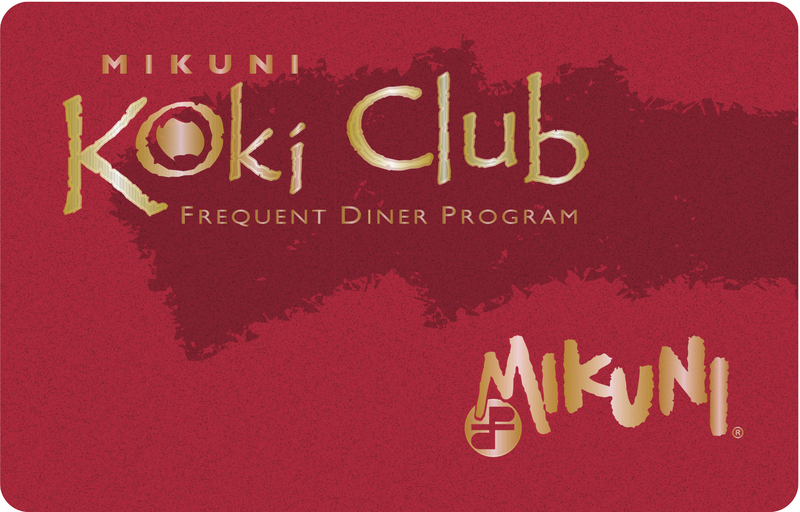 Upgrade your membership and receive a personalized Mikuni Koki Club Hoshi Red Card (name will be imprinted exactly as it appears on your account). Due to name personalization, please allow up to 4 weeks to receive your new card. 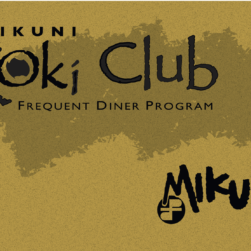 Tags: koki club, koki club card, membership, red card, red club, upgrade.